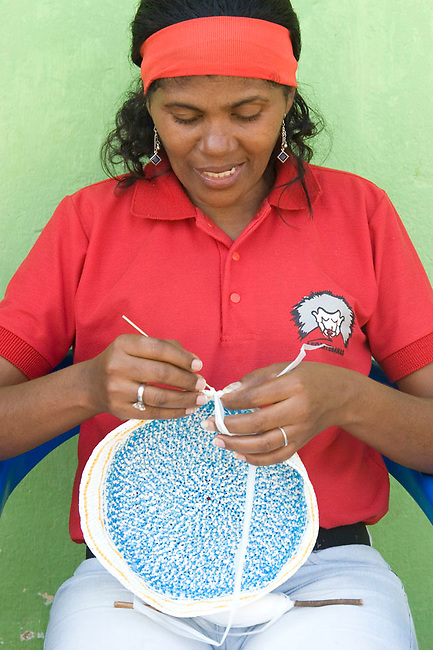 Colombian asoartesana knitting mochilas and other products woven from recycled plastic bags. This project has recycled more than 1.5 million plastic bags and provides an income to the village living around the forest, thereby protecting the Cotton-top tamarin. Los Limites, Colombia.